The Employer Pensions and Benefits Information Connection (EPIC) is a set of Internet-based applications that allow registered employers access to their employees' pension and, if applicable, health benefit account information. Once you begin to use EPIC, we believe you will find it to be one of your most useful resources for the accurate information needed in the day-to-day administration of your employees' pensions and benefits. Before you can begin using EPIC you must register with the myNewJersey website. Registration is described in the following section. PLEASE READ THESE INSTRUCTIONS as registration requires several steps. If you are already a registered user of myNewJersey, proceed to Part II for information on how to access the EPIC system. 3. You may choose any login ID and password that you wish. The login ID and password should be easy to remember but secure enough to prevent unauthorized access to your myNewJersey account or the EPIC system. Your login ID can only contain letters, numbers, or the characters: @.-_ and must be entered as one word. Your password must be at least eight characters and should be chosen from at least three of these groups: lowercase letters, uppercase letters, digits, and other characters (except space, quotes, <, >, &, and /). 4. Once registration is complete, notify your Certifying Officer. The Certifying Officer will then provide you with access to EPIC. You will be notified of your access through an email from the Division of Pensions & Benefits that includes your Authentication Code. 5. To access EPIC for the first time, go to the Divison of Pensions & Benefits website and click the "Login" button next to "Access my MBOS Account." 6. After the myNewJersey log on page opens, enter your user ID and password. Then click the "Login" button. IMPORTANT NOTE: For security purposes and to prevent unauthorized access to employee information, you should click "NO" if your computer asks if it should remember your myNewJersey login ID or password! 7. To gain access to EPIC you must enter your Authentication Code that you receive by email from the Division of Pensions & Benefits. Click the link at the top right of your myNewJersey home page marked "auth code." On the page that opens, enter the Authentication Code in the text box precisely as it appears in the email. Letters must be in upper case. Note: Your Authentication Code is for one-time use only and will only work for the person to whom it is assigned! When you are finished using your Authentication Code, please destroy any copies of the code and delete the e-mail that contains it! 8. Your Authentication Code will be verified and your personal profile will be updated with your new role as an EPIC user. Your Internet browser will return you to the log In screen. You must log back into myNewJersey at this point. Note: You will only need to enter your Authentication Code the first time you access EPIC. Once authorized, you will be able to go directly to the Pensions and Benefits channel and EPIC once you log in to myNewJersey. 9. The link to EPIC is contained in the channel for Pensions and Benefits. The Pensions and Benefits channel will appear on the left-hand side your myNewJersey home page when you log in. 10. Click on the MBOS and EPIC button in the Pensions and Benefits channel. If you only have access through your employer to EPIC, you will be taken directly to the EPIC Home Page. If you are registered with multiple roles through EPIC and/or access your personal pension account through the Member Benefits Online System (MBOS), you will need to select the role you wish to open for the session each time you log on. If, after reading this registration information, you still have questions about or difficulty accessing or using EPIC, contact the NJDPB's Employer Education Unit at (609) 292-7524 or send an email. When you first sign onto EPIC you are taken to the EPIC Home Page. On the left side of the EPIC Home Page you will find "Employer Information" that identifies the employer through which you have access — the online help screen is available by clicking the "EPIC User's Guide" button. On the right side of the EPIC Home Page are the "Employer Applications." For additional help on using specific applications, see the EPIC User's Guide. If you have EPIC access through your employer and are also registered as a member in the Member Benefits Online System (MBOS), you may click the "Select MBOS Role" button to leave the current EPIC session and access your MBOS account. Note: If you are registered with multiple roles through EPIC and/or MBOS, you will need to select the role you wish to open for the session each time you log on. The Division of Pensions & Benefits wants EPIC to be a tool that employers find useful and choose to use in their daily administrative work. We have made every effort to make EPIC powerful and secure while also keeping it easy to use. We would like to hear about how you liked using EPIC and welcome your suggestions on how EPIC could be made better for the way you work. 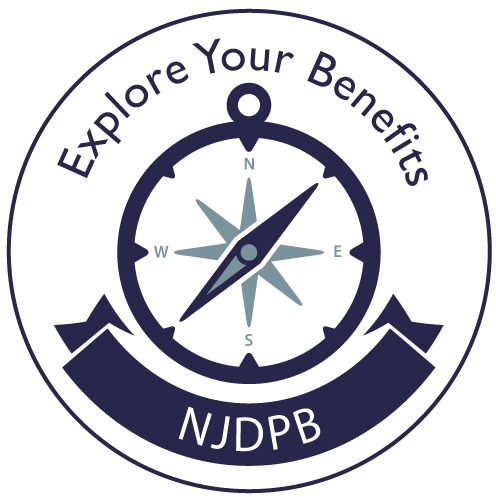 Send your questions, comments, and suggestions to the Division of Pensions & Benefits at: https://www.state.nj.us/treas/pensions/pensionmail.shtml or call the NJDPB's Employer Education Unit at (609) 292-7524.